"While pregnant with our first child, we were contacted about a sibling group of five in Jacksonville who needed a home immediately. We had to make a decision that night and drive there to attend court the next morning. It was crazy, but we knew that we might be the only ones crazy enough to take on five kids at once in such a short time period. We didn't want them to be split up and they almost certainly would have been. We drove to Jacksonville the next morning. We were granted custody without having even met them! We introduced ourselves as Mom and Dad at Chick-Fil-A, and brought four of them home nine days later. 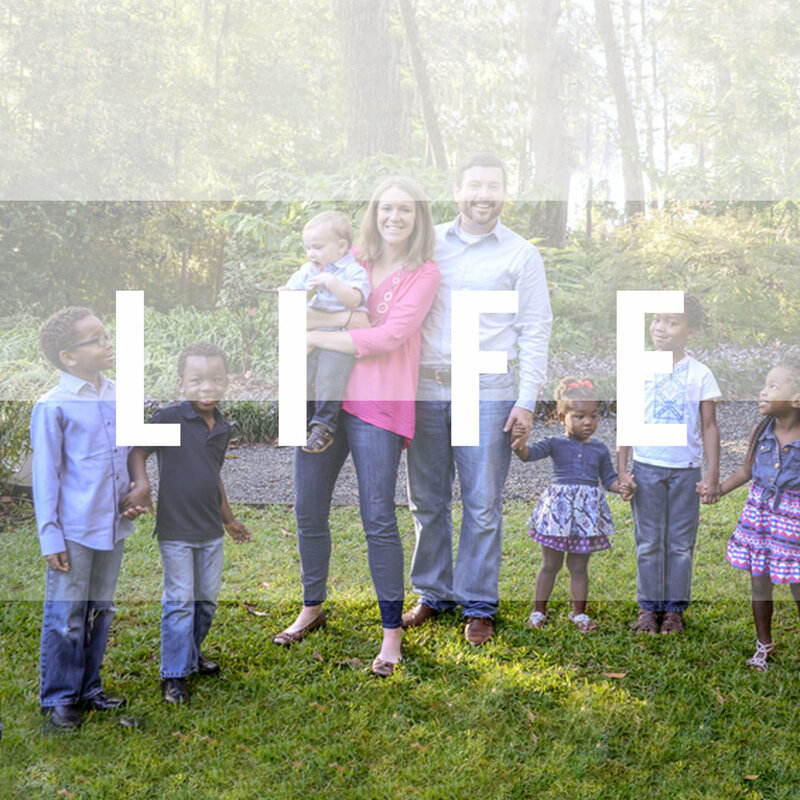 It was a whirlwind going from 0-6 kids in just eight months, but we are so happy that our children's birthmom chose to give our kids life and allow them to be part of our family. Our hope is to continue to help foster and adoptive parents in our area and help equip the church to better look after those who are sometimes forgotten."